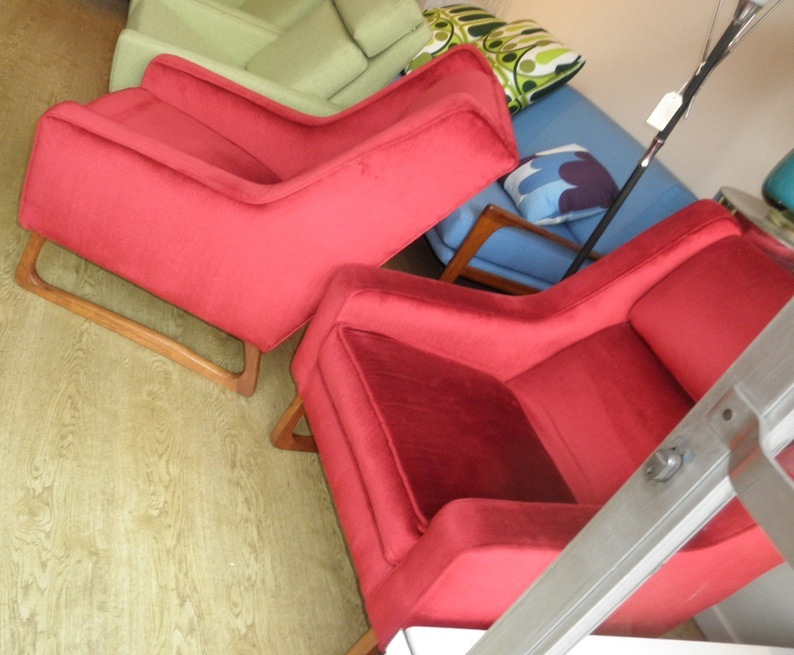 This sled based retro lounge suite consists of a long three seater couch with nice comfortable seating position on a teak sled base and two stunning armchairs with a great winged side profile . 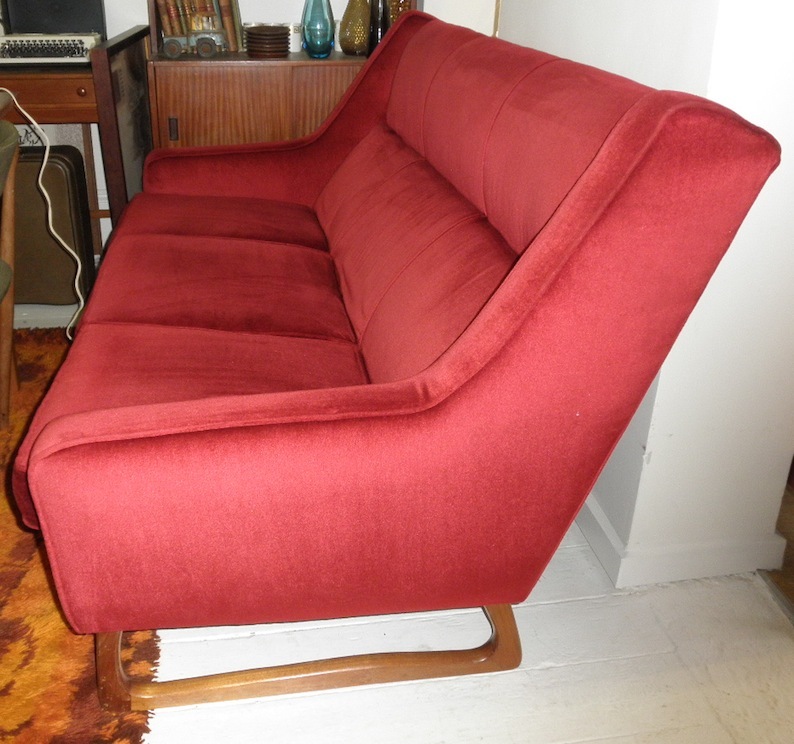 It looks to be a Danish deluxe design judging by the sled base which was a common feature on their mid 1960s to early 1970s pieces which they borrowed from Gerald Easden. 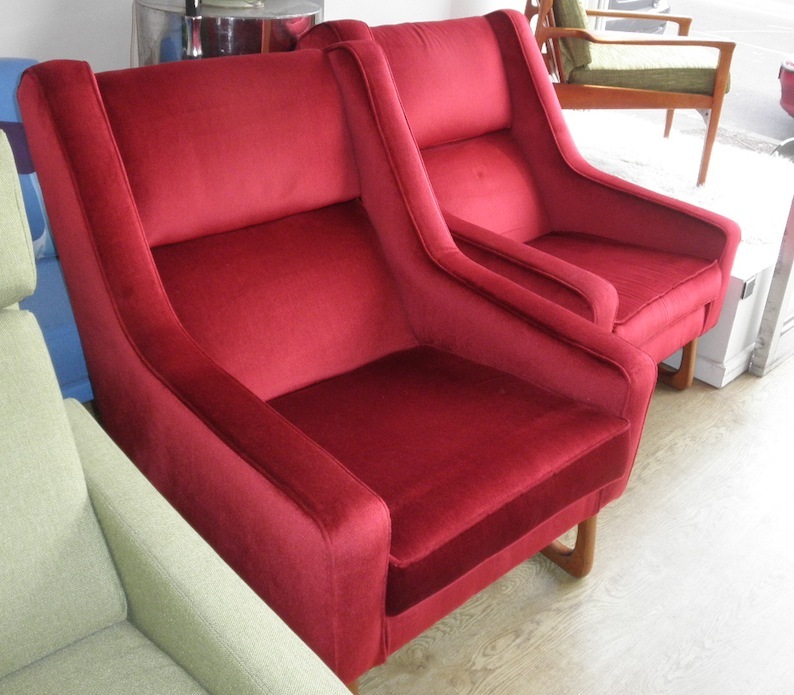 The whole suite has been recently redone in the very retro ruby red velour and is very firm and solid. We got this suite at a great price and as we don’t need to do anything to it we are selling it for a bargain price so be quick -you would pay more on ebay.